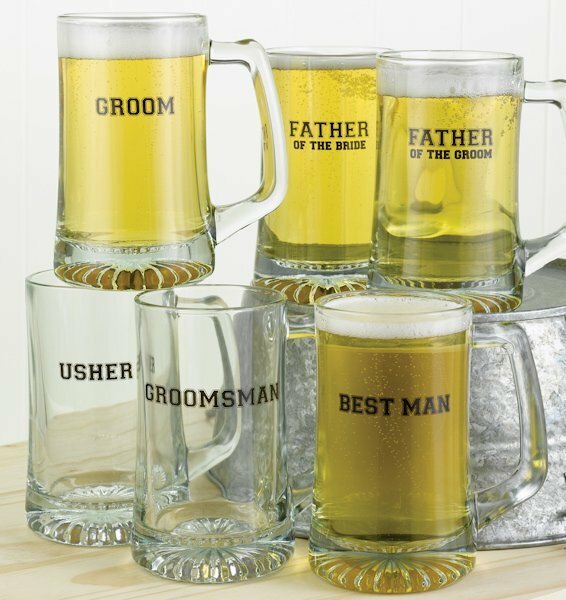 Identify and thank your wedding party members! 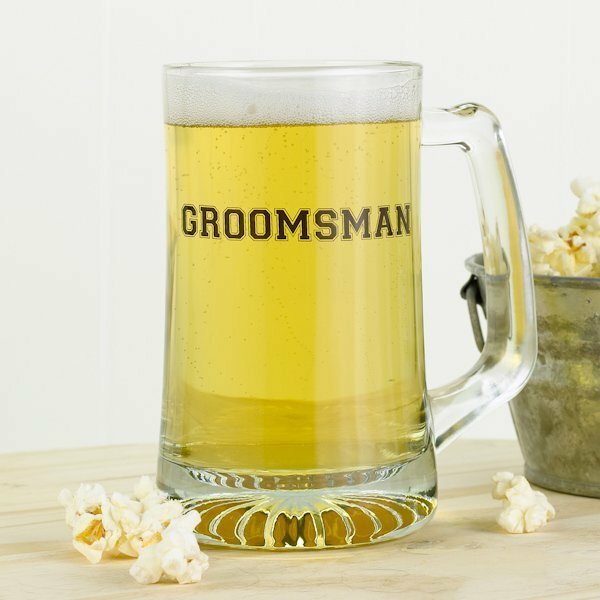 Bold black lettering that reads 'GROOMSMAN' is imprinted on the front of this classic glass mug. 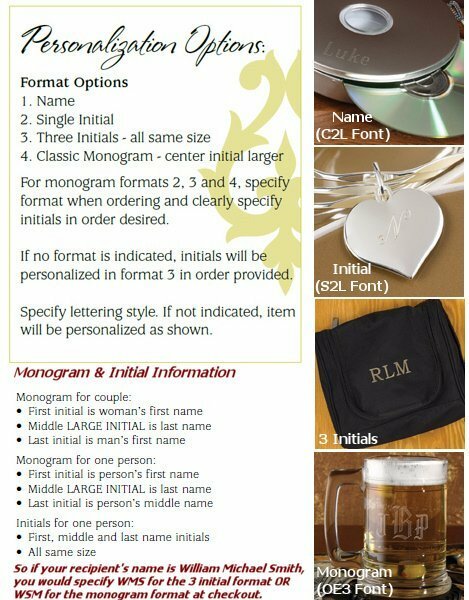 We also personalize each mug with a name or initials of your choice. 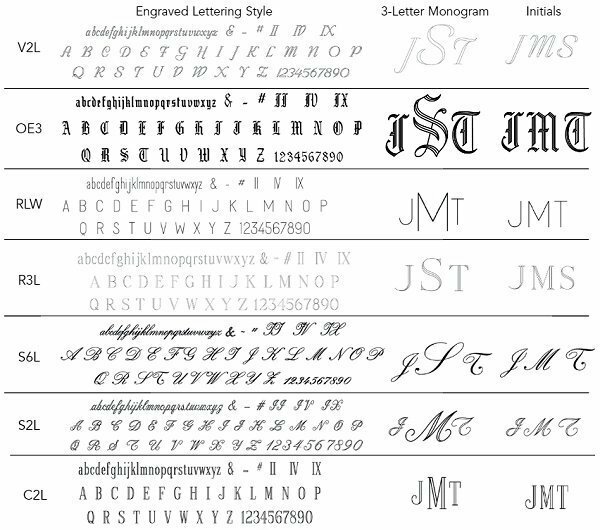 Choose from a number of personalization styles during checkout. This Groomsman Beer Mug stands about 5.5" tall and holds 15 ounces of their favorite beverage. 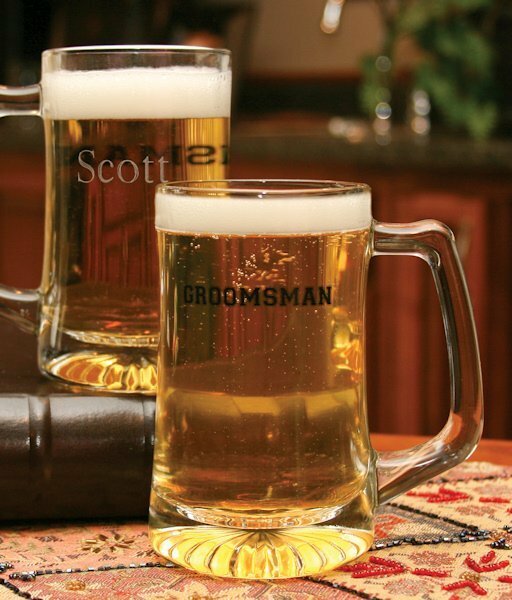 We sell a matching version of this same mug in groom and best man designs.